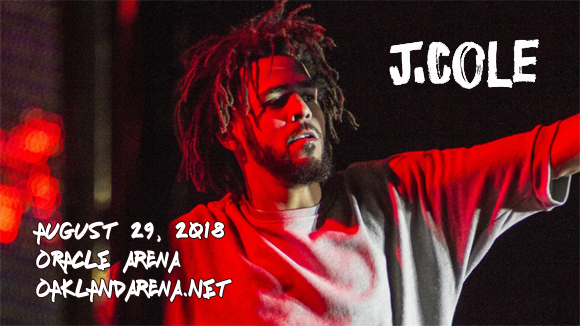 Oracle Arena delivers one of the biggest hip hop events of the year as J. Cole brings his KOD tour to the stage on Wednesday 29th August 2018! The North Carolina-native, known for his conscious lyrics and killer beats, will be serving up some hot new material from his number-one album of the same name, as well as an epic support act in the form of trap-rap act Young Thug! J Cole is an American hip hop recording artist and record producer whose 2007 mixtape The Come Up brought him to public attention, catching the interest of Jay-Z. Signed to Jay-Z's Roc Nation imprint in 2009, Cole also featured on Jay Z's 2009 album The Blueprint 3, on the track "A Star Is Born." Cole World: The Sideline Story, his debut album, was released two years later and debuted at number one on the U.S. Billboard 200, quickly gaining platinum certification from the Recording Industry Association of America (RIAA). 2013's Born Sinner and 2014's Forest Hills Drive were also certified platinum, and the latter earned Cole his first Grammy Award nomination for Best Rap Album. 4 Your Eyez Only (2016), Cole's fourth studio album, debuted at number one on the Billboard 200 chart and was certified platinum in 2017. His fifth and most recent LP, KOD, was released in April 2018.